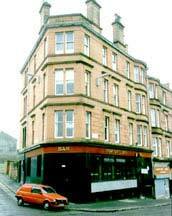 275 Springburn Road, Springburn, Glasgow. G21 1SE. Tel: 01415585030. 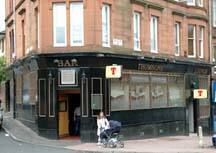 Thomson's Bar in Springburn has been a landmark here for many years. In recent years it has had bad publicity for the involvement of the McGovern family, however this old Springburn local has an interesting history to tell. To read more click here. Interior views of the main bar 2005. 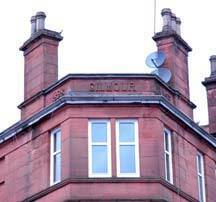 A date of 1898 with Gilmour Place on the top of the tenement building.